Life around here has officially kicked into the annual end-of-the-school-year frenzy. Crazy days don't afford much time for a nutritious breakfast, yet such busy times are exactly when we need a nutritious breakfast the most! 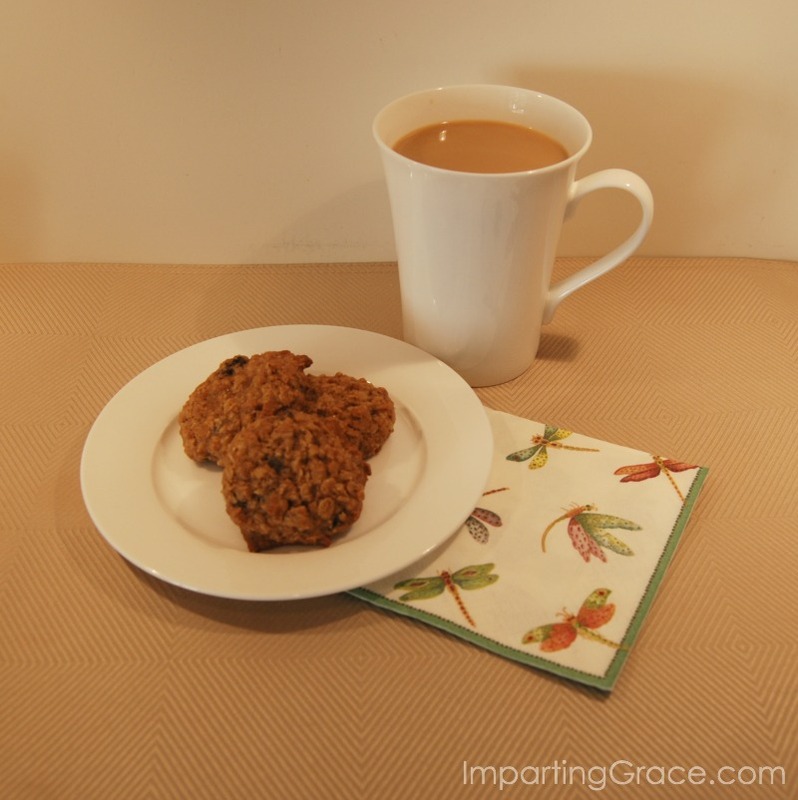 I've found a good solution: absolutely delicious breakfast "cookies" packed with goodness. These take a little time to prepare, but the recipe makes a lot. They freeze beautifully, and each one provides lots of energy for busy days. In small bowl, combine eggs, vanilla, and raisins. Cover bowl and let stand for one hour. Preheat oven to 375 degrees. Grease cookie sheets or cover sheets with parchment paper. Cream butter and brown sugar. Add honey and as much of the egg as you can pour in without dumping the raisins. Mix well. Stir or sift flour, cinnamon, and salt together, then stir into batter. Add oats, nuts, raisins, and dates; stir until well mixed. Dough will be stiff. Roll dough into balls or scoop dough onto prepared cookie sheets and flatten with palm of hand. Bake until lightly brown (9-10 minutes for medium-sized cookies; 13-14 minutes for large cookies). Remove from oven and transfer to wire racks to cool completely. When completely cool, freeze cookies in a zip-top plastic bag. Makes 24 large or 48 medium-sized cookies. These breakfast "cookies" are so good! Soaking the raisins in the egg-vanilla mixture makes them plump and flavorful. The dates are chewy and delicious. The nuts add protein as well as crunch, and of course the oats provide fiber. Grab a couple of these from the freezer, microwave them for a few seconds, and enjoy with a cup of coffee or tea for a delicious, quick breakfast on a busy day. Do you have a favorite quick breakfast for busy mornings? I kinda love that we both did breakfast cookie recipe posts today. Mmmm! These sound good and like a great way to start the day. These sound and look fabulous!!! These look great! 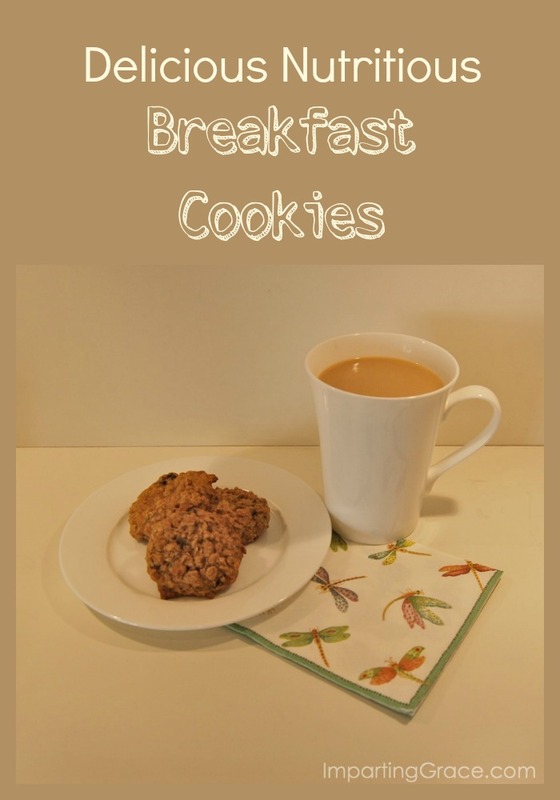 Who wouldn't want cookies for breakfast! Pinning!